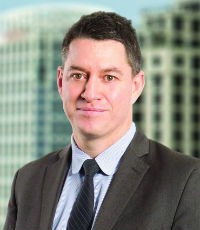 Reuben Woods is recognised by Chambers Asia-Pacific 2016 as a leading corporate lawyer with clients describing him as an “efficient, technically very sound, very commercially astute partner who gets things moving and gets transactions done”. Woods advises on M&A transactions, private equity transactions (including acting for US PE fund Sun Capital on the acquisition of Elldex Packaging from NZX listed Hellaby Holdings), equity capital markets(including acting for Vista, dual listed on the NZX and ASX), and W&I matters (acting for underwriters, including recently acting for AIG on the largest policy it has underwritten in New Zealand). Woods’ clients include Foodstuffs, Liquorland, Bell Tea & Coffee, TVNZ and Metlifecare. Woods is proudly of Ngai Tahu descent.